Using the power of technology to change the world. This year Dimension Data continued on its journey to use technology to protect endangered species in Africa by expanding its Connected Conservation programme to new reserves in Zambia, Kenya, and Mozambique. The programme now protects both elephants and rhino from the ravages of poaching. Last year Dimension Data was gold certified under the Ecovadis programme - which recognises supplier sustainability - and was rated in the top 5%. 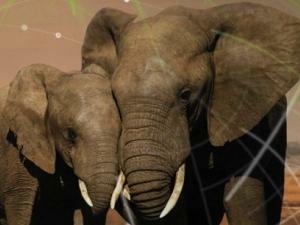 Through the Connected Conservation programme, Dimension Data continues to harness the power of technology to protect endangered species for future generations. Through technology and services that span key areas of digital business, Connected Conservation is proactive. It tracks the movement of people entering and exiting selected game reserves in Africa, which helps to prevent poaching before it occurs, and allows vulnerable animals to roam undisturbed. The solution includes digital infrastructure, hybrid cloud, digital workplace, and cybersecurity. In 2018, The organisation is growing, scaling, and expanding Connected Conservation to other parts of Africa, including Zambia, Kenya, and Mozambique, to protect the elephant, as well as the rhino. With collaboration technology being one of the key drivers in creating a sustainable organisation, Dimension Data is working with global FMCG giant Unilever, to help it deliver on its goal of creating a sustainable organisation, as well as reducing the carbon footprint of its IT and business operations. In addition, Dimension Data was contracted to help with the creation of three core infrastructure sites that will be hosted in NTT data centres throughout the Americas, Europe, and Asia, all of which are supplied with a dedicated video network, provided by NTT. There will be a full usage and adoption programme spread across the five-year contract, delivered as a managed service by the MSVC team.